Social media has changed the way we communicate today, whether it's on a personal level or on a business level. It is an essential channel for growing your business so get active where your customers are and provide them with useful and engaging content. Be sure not to use it like a megaphone or opportunity for constant sales pitches - it needs to be a 2 way conversation. Use your buyer personas to figure out which social media channels to concentrate on, put a strategy in place and reap the rewards. 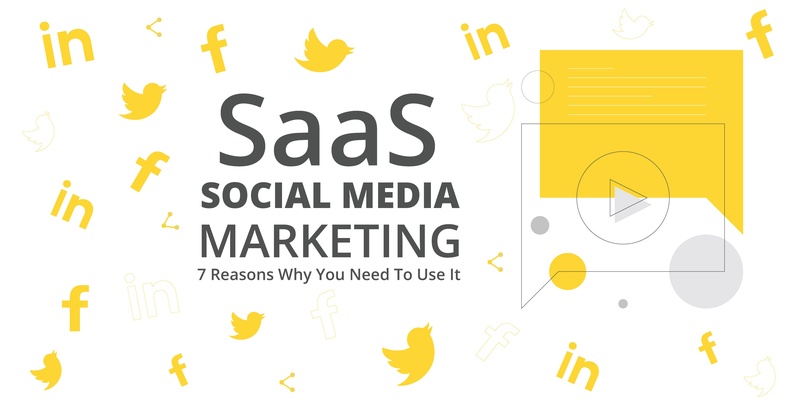 "Nearly one-third of the world uses social networks regularly"
The following are the top 7 reasons SaaS companies should use social media marketing and with the right strategy in place you can achieve them all.